Sometimes, dreams don't come true. At least that's the case for most dreaming of a white Christmas and obsessively checking their SnowCast App every few minutes. 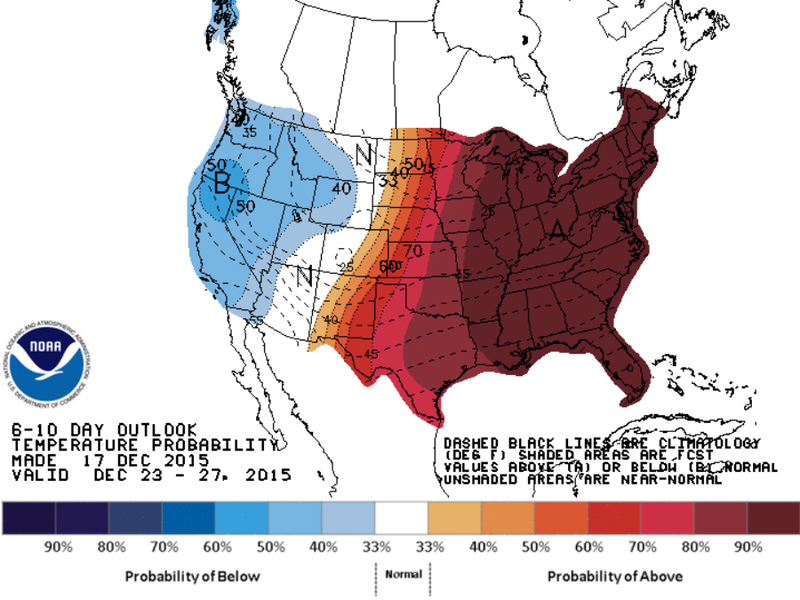 It's already been an unusually warm winter for nearly everyone in the U.S. The Rocky mountains are the only region in the country taking exception to that. 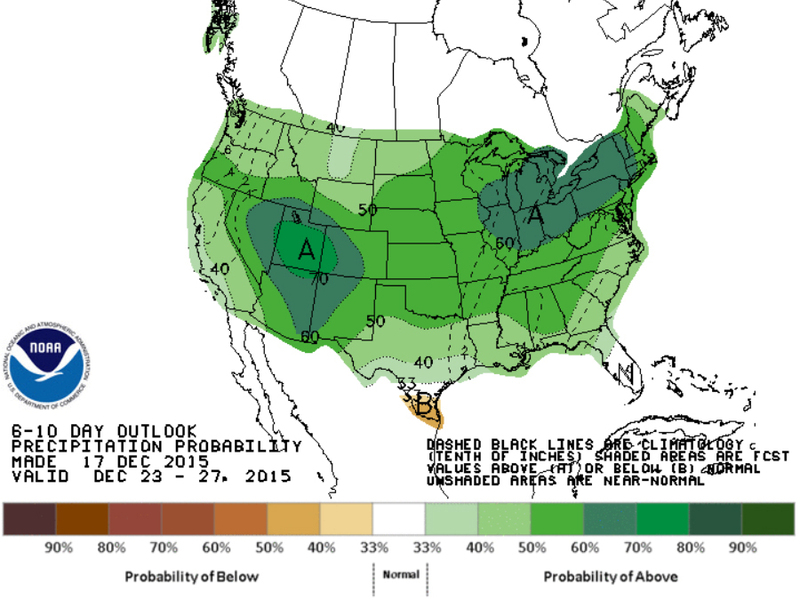 It doesn't look like we'll see an extreme pattern change during the Christmas holiday either. Warmer than average weather is likely to persist east of the Rockies, while some chillier air remains in place west of there. It looks like the same time period will have extra precipitation, too. This, however, doesn't translate to more snow for more places . 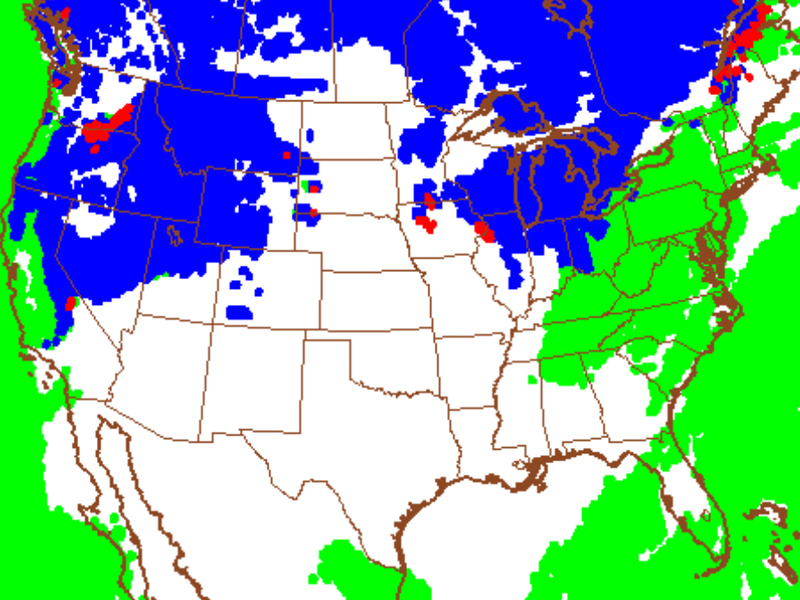 There are only a few spots that can expect at least a little snow on the ground Christmas morning — at least according to forecast models a week out. It looks like a few flurries may fly in parts of the Midwest while Santa is making his rounds, and more snow is expected in the mountains across Idaho, western Montana, Wyoming, northern Utah and parts of Nevada, California, Oregon and Washington. In other words, if you really want a White Christmas, go west, young man.